Cyclone 125 Dust cowl for crack chasing, mortar raking, joint sawing / cleanout and many sawing applications when total dust control is essential. 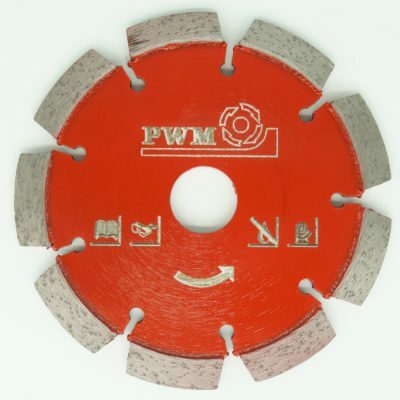 Perfect for scoring concrete and tiles. 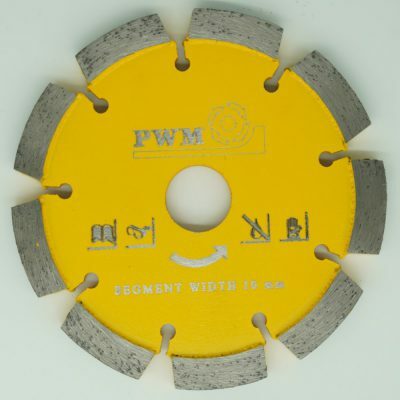 Universal fitting – suitable for most popular 100 – 125mm angle grinders. 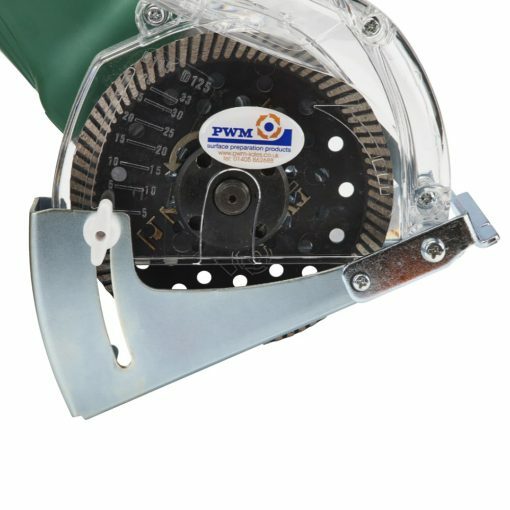 Fully adjustable depth of cut up to a maximum of 35mm. Quick and simple to fit with (EBC) easy blade change system. 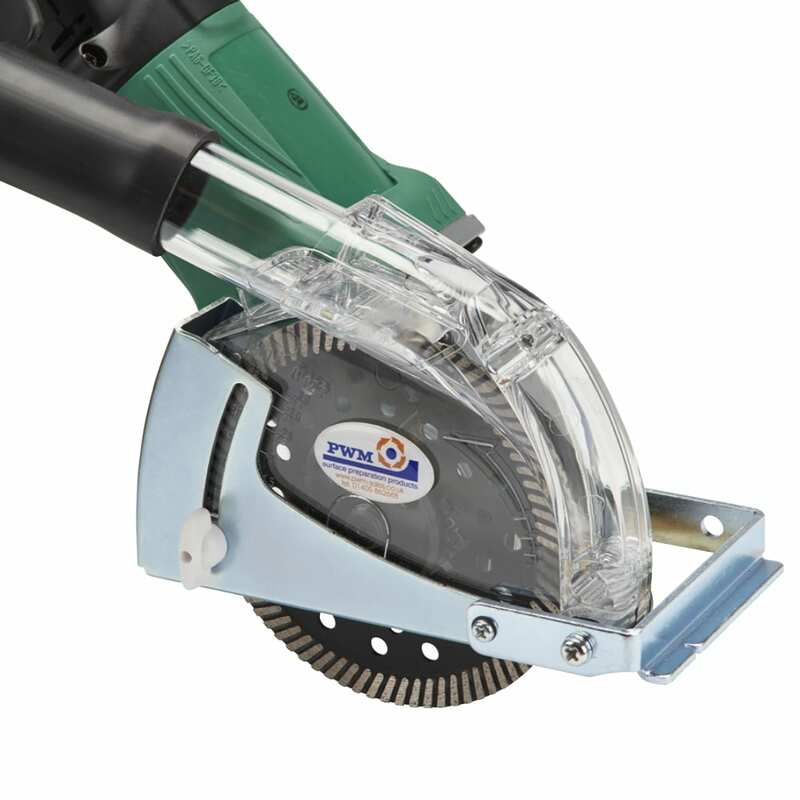 The Cyclone can be used for cutting, mortar raking and crack chasing with all 100-125mm cutting wheels including diamond blades, carbide saw blades and abrasive wheels. The Cyclone dust cowl will effectively remove potentially hazardous dust from the workplace during cutting, chasing and re-pointing operations. 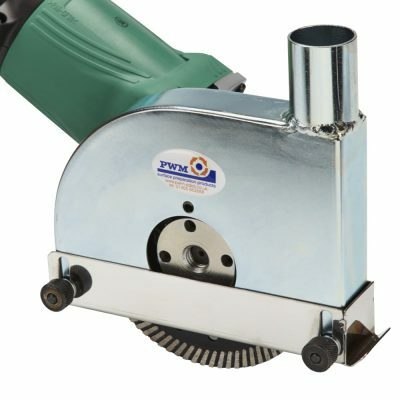 The Cyclone has a patented, adjustable set of steel adapters that allow it to be attached to virtually any 100-125mm pneumatic or electric angle grinder with a bearing housing diameter between 41mm – 51mm. The Cyclone dust cowl has been extensively tested and has passed all relevant European quality and safety standards. It has also been subjected to exactly the same durability and drop tests as the angle grinder it is fitted to!! Vertical adjustment for the depth of cut is achieved by adjusting the metal depth guide on the right side of the Cyclone.The Cyclone can be rotated to a number of different positions to suit the operator’s preference. Applications for Cyclone dust control cowl include:: Crack chasing, cutting, sawing, joint clean out, joint cutting, tuck pointing mortar raking, cutting fibreglass, scoring concrete, grout removal and decorative work. The Cyclone can be supplied ready assembled with the angle grinder of your choice and fitted with a diamond blade that is ideal for your application – ready for immediate use! !